Disclaimer: There is no actual profit. That was just one of those clickbaity things everybody seems to like so much these days. Also, it’s not really fun. Alright, on with the show! A common practice is to add users that need to run Docker containers on your host to the docker group. For example, an automated build process may need a user on the target system to stop and recreate containers for testing or deployments. What is not obvious right away is that this is basically the same as giving those users root access. You see, the Docker daemon runs as root and when you add users to the docker group, they get full access over the Docker daemon. $ docker build --rm -t docker2root . drwx------ 10 root root 4096 aug  1 10:32 .
drwxr-xr-x 25 root root 4096 sep 19 05:51 .. So yeah, that took all of 3 seconds. I know I said 10 in the title, but the number 10 has special SEO properties. 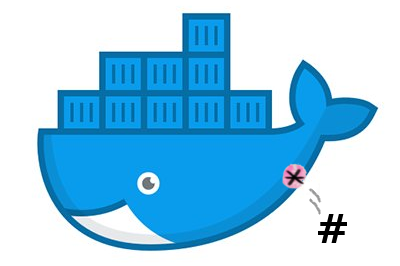 Remember, this is on the Docker host, not in a container or anything! When you mount a volume into a container, that volume is mounted as root. By default, processes in a container also run as root. So all you have to do is write a setuid root owned binary to the volume, which will then appear as a setuid root binary on the host in that volume too. This isn’t strictly needed, but most shells and many other programs refuse to run as a setuid binary. I don’t need to report this, because it is a well-known vulnerability. In fact, it’s one of the less worrisome ones. There’s plenty more including all kinds of privilege escalation vulnerabilities from inside container, etc. As far as I know, it hasn’t been fixed in the latest Docker, nor will it be fixed in future versions. This is in line with the modern stance on security in the tech world: “security? What’s that?” Docker goes so far as to call them “non-events”. Newspeak if I ever heard it. Secure by default: Easily build safer apps, ensure tamper-proof transit of all app components and run apps securely on the industry’s most secure container platform. We want to ensure that Docker Enterprise Edition can be used in a manner that meets the requirements of various security and compliance standards. Either that same courtesy does not extend to the community edition, security by default is no longer a requirement, or it’s a completely false claim. However, they fail to mention that giving a user control of your Docker daemon is basically the same as giving them root access. Given that many companies are doing auto-deployments, and have probably given docker daemon access to a deployment user, your build server is now effectivaly also root on all your build slaves, dev, uat and perhaps even production systems. 3 seconds to get root on my host with a default Docker install doesn’t look like “secure by default” to me. None of these options were enabled by default when I CURL-installed (!!&(@#!) Docker on my system, nor was I warned that I’d need to secure things manually. There’s a workaround available. It’s hidden deep in the documentation and took me while to find. Eventually some StackExchange discussion pointed me to a concept known as UID remapping (subuids). This uses the Linux namespaces capabilities to map the user IDs of users in a container to a different range on the host. For example, if you’re uid 1000, and you remap the UID to 20000, then the root user (uid 0) in the container becomes uid 20000, uid 1 becomes uid 20001, etc. You can read about how to manually (because docker is secure by default, remember) configure that on the Isolate containers with a user namespace documentation page.